Welcome to the Freeola Internet customer support pages. 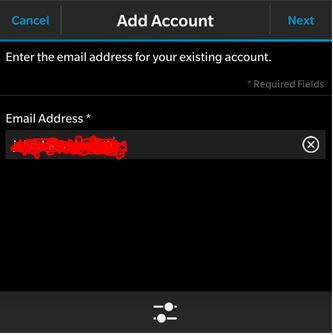 This guide is designed to help with setting up a Freeola email address﻿ on a Blackberry 10 device. For more internet help topics please visit our main Support Page. 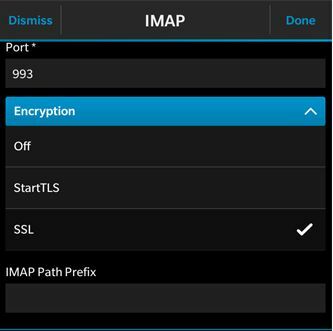 ﻿These instructions are created using a Blackberry 10 device, however this guide will be suitable for most versions of this software as the process changes very little. From the home page or home screen select Settings, Accounts then the Add New Account icon. On the next screen, select Email, Calendar and Contacts. Enter your full email address in the Email Address field, then Next. Now enter the password for that email account within the Password field and select Next again. Email Address: Your full e-mail address, again. Port: 993 for IMAP accounts, 995 for POP. SMTP Username: ﻿Your full e-mail address. SMTP Password: Your e-mail password. SMTP Server Address: should be set to smtp.freeolamail.net. Click Done to save the information. If all correct, your mail should now be downloaded onto your device.